As you may know, Teamviewer is a freeware software for remote control via the internet. For Linux, Teamviewer includes a bundled version of Wine, so the users do not need to install wine by hand. The latest version available is Teamviewer 14, which has been released a while ago. 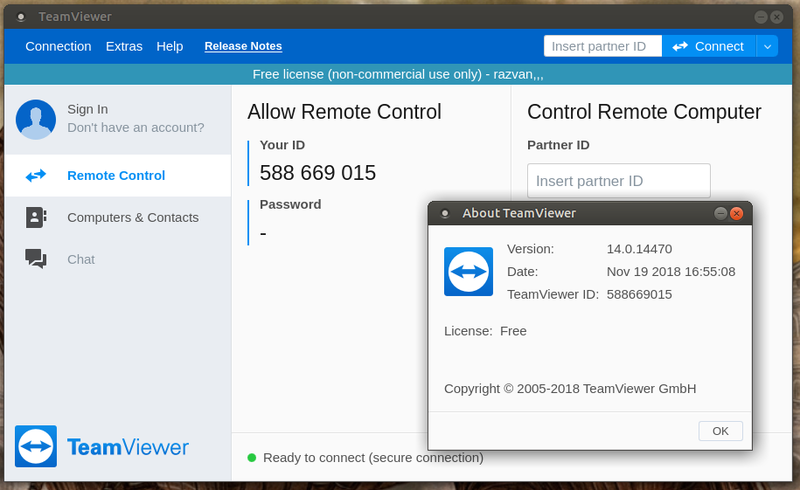 Due to the fact that it is available via a repository, installing Teamviewer on Ubuntu 18.10 Cosmic Cuttlefish, Ubuntu 18.04 Bionic Beaver, Linux Mint, Elementary OS, Debian and other systems that use deb packages.